Piriformis knowledge therapy provides the chance for a real cure from chronic pain that is enacted by the mindbody process. Knowledge therapy is a radical advance in medical care that has literally saved countless patients from the ravages of chronic pain and illness. Although the practices involved were not invented by him, the organization of the treatment system is most commonly associated with the renowned Dr. John E. Sarno of the Rusk Institute of Rehabilitation Medicine at New York University Medical Center in Manhattan. Knowledge therapy is a departure from other types of piriformis treatment, since the techniques are not focused on addressing degeneration, injury or pathology in the body. Quite on the contrary, when knowledge therapy is utilized, the patient must understand that their body is completely normal and simply demonstrating pain in response to nonanatomically-motivated factors. While this pain is completely real and experienced in the body, the root source of the symptoms resides inside the mind and is generated for a specific reason. Knowledge therapy ends pain by directly addressing its origin and changing the mind’s strategy for dealing with internalized psychoemotional pain. This extremely interesting and important essay defines and describes knowledge therapy treatment. We will discuss its indications and efficacy for piriformis pain and provide patients a primer on getting started with this proven curative modality. What is Piriformis Knowledge Therapy? Knowledge therapy is the name of a collection of practices that address mindbody health issues. These conditions are not created by injury or structural change, but instead are enacted by the subconscious mind and located in areas of known structural abnormality in most instances to make the condition seem more convincingly anatomically-based. These mindbody pain syndromes have created an epidemic of suffering in the modern world and include some of the most common diagnoses, including back pain, neck pain, shoulder pain, knee pain, hip pain, wrist pain, elbow pain, sciatica, headaches, fibromyalgia, autoimmune diseases and a host of digestive woes. This is not to say that every example of all these conditions is created by the mind; simply that these manifestations are often found to be ideal substitutes for anatomically-based pain that can be convincingly manufactured by the devious subconscious. The mind chooses to use pain as a defense mechanism to prevent the discovery of repressed and suppressed negative thoughts, feelings and experiences by the conscious mind. Pain is extremely potent as a defense, since it completely occupies the consciousness and does not allow its focus to wander to the emotional realm. While this is a maladapted mechanism for sure, it is simply the way the human mind has evolved, proven by the simple fact that all humans have psychosomatic conditions throughout life. Name a single person who has never suffered a stress-induced headache, stomach difficulty or other uncomfortable occurrence and you will find a true anomaly. Knowledge therapy is a collection of treatments and practices that delve into the recesses of the mind, uncovering the camouflaged issues that are responsible for causing pain in the body. Once the smokescreen of pain is discovered and addressed, the mind realizes that the charade is now useless and will simply stop the suffering. Although this sounds remarkably simple, it has been proven to occur in literally millions of people over the past 40+ years of clinical application at some of the best healthcare institutions in the world. It is the implied threat of conscious discovery of repressed psychoemotional trauma that the subconscious mind fears most. It would rather sacrifice the body by causing pain than to risk the deepest darkest parts of itself from reaching the consciousness. This theory very much reflects the groundbreaking philosophies of Dr. Sigmund Freud, the father of modern psychology and coincidentally, a classically trained physician (neurologist), just like Dr. John Sarno (physical and rehabilitation medicine specialist). While both of these men were educated in the Cartesian tradition of classical physical medicine, they made their greatest contributions to the realms of the mind, fostering the rapid development of modern psychological theories that have proven themselves to be far more enlightened than the purely Cartesian madness taught by the old medical establishment for hundreds of years. Knowledge therapy works because it uncovers the mind’s strategy of using pain as a distraction and therefore defeats the effectiveness of the plan. Once the patient understands this, they are empowered to unify mind and body and prevent a variety of health issues for the remainder of their natural lives. Knowledge therapy will not cure anatomically-motivated pain. 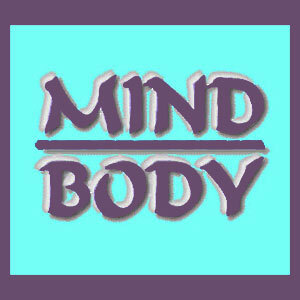 Therefore, the condition must be correctly diagnosed as being of mindbody origin, which can be a difficult and subjective process. However, knowledge therapy does provide great benefits even when it does not cure pain, since it teaches fundamental truths about the nature of pain and the interactions between mind and body. Although not indicated for every piriformis diagnosis, knowledge therapy has no risks and will provide improved health and wellness for life, even if it fails to address the specifics of the piriformis pain condition. In fact, we have received many letters over the years that stated how knowledge therapy did not cure anatomically-enacted piriformis pain, but did resolve gastrointestinal woes, back pain, joint pain and other health issues in patients, despite them not even using the method to address those specific concerns! This being said, it is crucial to remember that many piriformis diagnoses are incorrect and some of these profiles are actually caused by the mindbody processes. Misdiagnosis of piriformis syndrome in particular is a terrible and common occurrence, with ischemia often being the true root source of sciatica symptoms. When use for these indicated conditions, knowledge therapy provides excellent results that permanently cure the vast majority of patients. Dr. Sarno discusses a cure rate of up to 97% percent for particular diagnoses that he often treated, although we tend to set our numbers a bit lower, but still encompassing the overwhelming majority of patients. Our proven pain relief program integrates the most powerful forms of knowledge therapy along with other proprietary methods of preventing, managing and curing pain. If you need relief right now, be comforted by the fact that you can access the program immediately from anywhere in the world. In essence, you can get help right now.